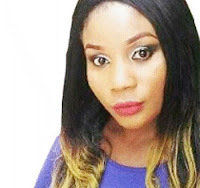 LADY identified as Ranti Funso Akinfolarin has reportedly died from bullets fired by robbers in the Festac area of Lagos State penultimate week. The Nation gathered the deceased was returning home from an outing without knowing that the robbers were operating in the area. One of the bullets fired indiscriminately by the robbers was said to have hit Ranti on the chest and she fell down in a pool of her blood. It was learnt that the pandemonium that followed the robbery incident did not allow bystanders to take her to hospital as people scamper into safety. Our correspondent gathered that the deceased who graduated six months ago from the Lagos State Polytechnic, Ikorodu, had her wedding last year and celebrated her birthday two weeks ago. The story posted on the Facebook wall of the deceased generated emotional tributes. One of her friends, Oyebanji Kemmiesola, mourned her on Facebook said: ”Oluwarantimi you went down the earth yesterday at about 4:30pm. I was just like is that the end? Even in your Coffin you were smilling. So,no more play & hangout again. No one to prepare that your delicious pepper noodles again. It was me, Tonia and you . But now you left us. My beautiful always smilling friend. I will miss u forever. Another sympathizer, Adebiyi Christiana Abosede said: ”Today mark(sic) it 8days u left this sinful world Oluwarantimi but still look like a dream to me. U will always be remember my Bestie, Rest in perfect peace my dear frd. I love u so much Ranti Funsho Akinfolarin but God love u more. Sleep on……… Itsopainfuluarenomore….. Ore bi omo iya ……. ”You always extend your kindly heart and understanding towards everything around you..we talked like…same blood, play like…life is free, plan like…future is here. Am just short of words. Like you said in your last fb post “If you understand Time trust me, you will envy no one”.